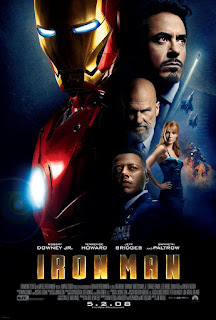 Iron Man is perhaps best known as the pioneer of the titanic Marvel Cinematic Universe, now officially the largest movie franchise of all time and one that continues to expand with more and more blockbusters as each year flies by. Their quality, in my eyes, has undeniably tanked somewhat recently, and perhaps this can be largely linked to how many films insist on cramming in multiple characters and insane amounts of plot threads to almost make even the standalone hero flicks feel like Avengers sequels. It's why tuning into Iron Man among other early MCU hits is satisfying in today's world - never does the film feel too obsessed with forcing more and more stuff into this shared universe. Instead it creates a compelling story of it's own, helmed by a superb cast playing well developed characters, and boasting some masterful effects within some compelling set pieces. All amazing stuff, and it's why it remains my favourite of the franchise even a decade onward. However, it's not without goofs and plot holes. Is any movie, though? Even your favourites...so let's take a look at where the filmmakers may have cocked up just a little. Whilst the terrorists who capture Tony of course known nothing about how to build the Jericho Missile and so can't instantly recognise the robotic outfit Tony's actually constructing, it seems odd that considering how long he was in captivity for and how the terrorists continued to keep a close eye on him that they never once figured out that he was creating a weapon to aid his escape. Hell, perhaps they could've at least had guards standing in the room 24/7, instead of goofing around staring at god awful quality CCTV cameras that clearly didn't help in the long run. When Tony finally completes said robotic outfit, he makes good his escape from the cave by taking off into the sky in a gargantuan field of flames. However, as we see clearly, his suit has two enormous eye sockets protected by absolutely nothing, and this raises a crucial question: how were his eyeballs not roasted into pure nothingness during his epic ascent? On that subject, when Tony's flight is cut short by some sort of malfunction, he falls god know how many hundred feet and crashes into the desert below, smashing his suit into a million pieces, yet leaving him totally unharmed. I'm sure his limbs would be flying across the wilderness alongside said metal pieces, wouldn't you agree? A very minor yet somewhat strange flaw shows members of the Ten Rings addressing Stane over Stark's capture through a video clip in their own language, which apparently is as easy to translate as typing TRANSLATE to switch to an English voiceover. Was it not possible for them to speak English? Unusual considering he is their English-speaking employer after all, whom they'd been making all sorts of dodgy business dealings with for quite some time. Tony's mini arc reactor used to power his suit and keep him alive of all things is kept super secretive, with nobody except Pepper getting a half decent look at it. Yet, later in the film, Stane is able to create a tool used to remove said reactor from Tony's chest as if he had the chance to study it's exact dimensions and features. Sure, he briefly saw it upon Tony's return, but nowhere near enough to actually have such refined knowledge of it. How did that happen? 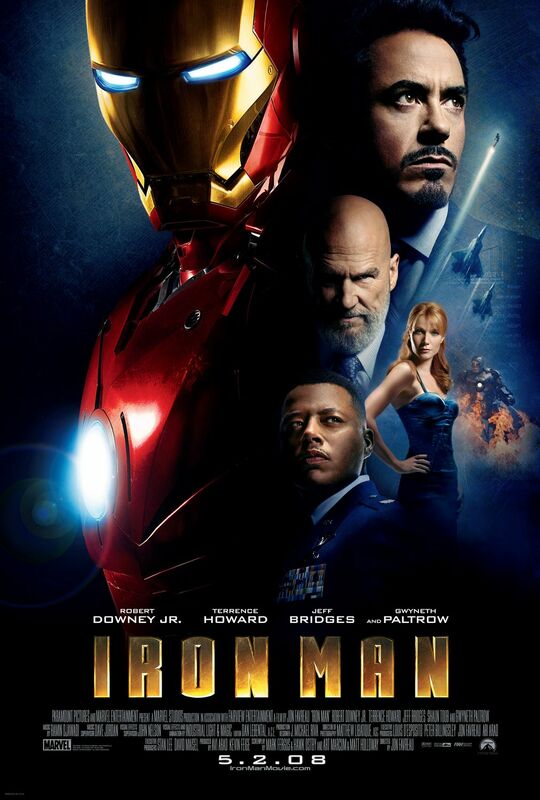 The majority of this movie depicts Tony constructing his suit, going through all sorts of prototypes and beta designs, and requiring a lot of intense practice to master the art of flying. However, when Stane builds his suit based on Tony's scrapped plans and enters it for the first time, he is able to maneuverer around, fly, and fight with little to no hassle whatsoever. On the subject of Stane's suit, it is known by the agents of SHIELD that he is building such a weapon and intends to use it for some epic destructive purposes, but they decide sending six or so agents armed with generic PG-13 pistols will be enough to bring a stop to his madness. It's stuff like this that makes some superhero villains so easily achieve their goals...until the last minute anyway. You could say it's primarily down to him just losing his marbles, but one has to question what Stane's plan is once he has defeated Stark in their final battle? Everyone knows it's him in the gigantic suit so him creating a lineup of similar ones isn't gonna happen as he'll be seized by the CIA the moment he exits his armour; and if he doesn't intend to exit it, daily life is surely gonna become a lot more awkward. Tony demands Pepper to overload the reactor as one last effort to defeat an unbeatable Stane, but Pepper is reluctant to do so, insisting Tony will die - something Tony also seems to be accepting of. Said death seemed so inevitable that it seems odd that nobody questioned why it never happened, especially when Stane was so easily destroyed and Tony just slammed to one side yet popping up all healthy and well in the next scene. Still one of the best superhero films now and forever.